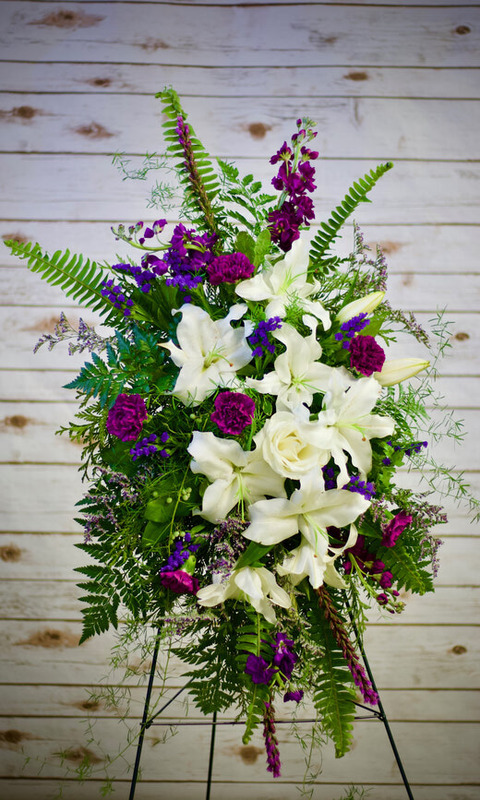 Send your regards with this lovely purple and white arrangement. 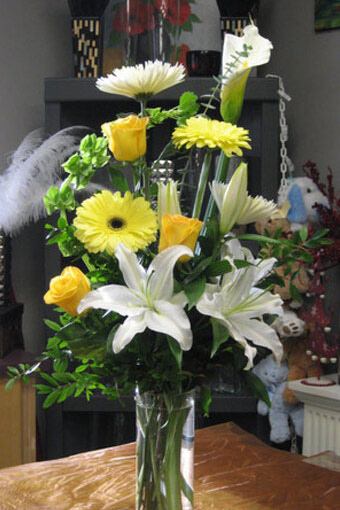 Larger vase with calla lilies, stargazer lilies, orchids, fuji mums and roses. 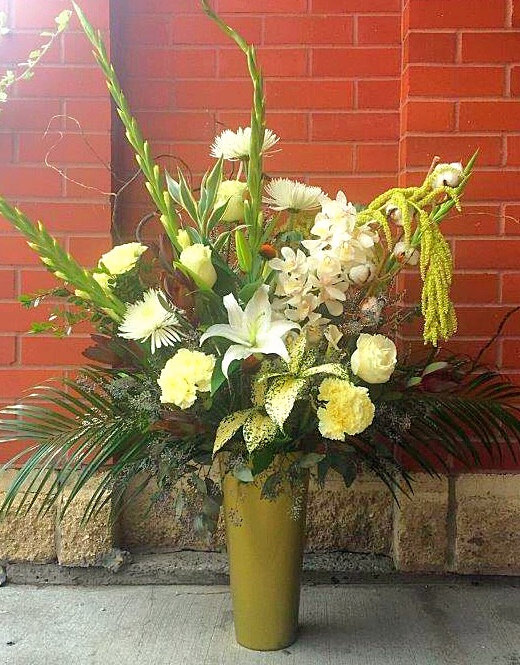 Taller one-sided arrangement with all white flowers: calla lilies, oriental lilies, orchids, etc. 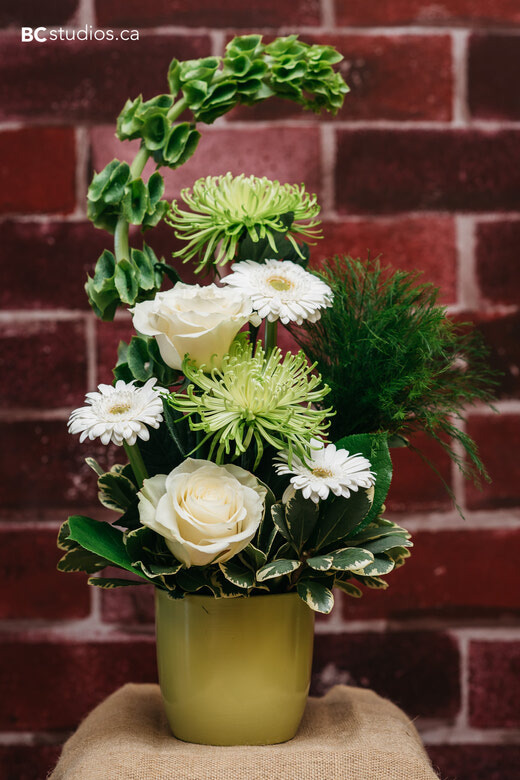 This white and green arrangement is sure to bring a touch of elegance to any space. 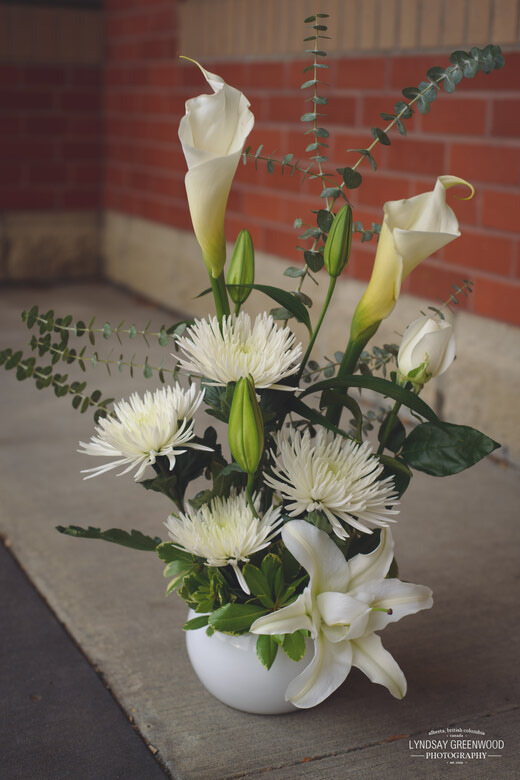 Perfect for showing that the recipient is in your thoughts no matter what the occasion. 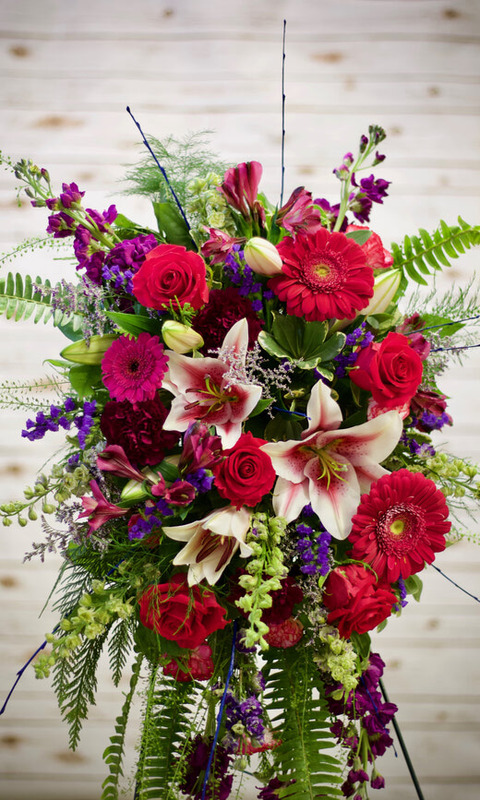 A large casket spray with lilies, roses, gerbera daisies, and seasonal flowers. 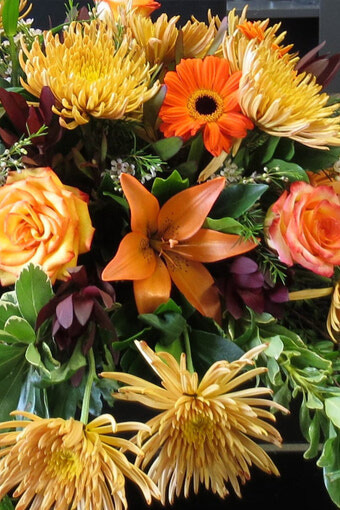 We can change the colours depending on your preference and what we have for availability. 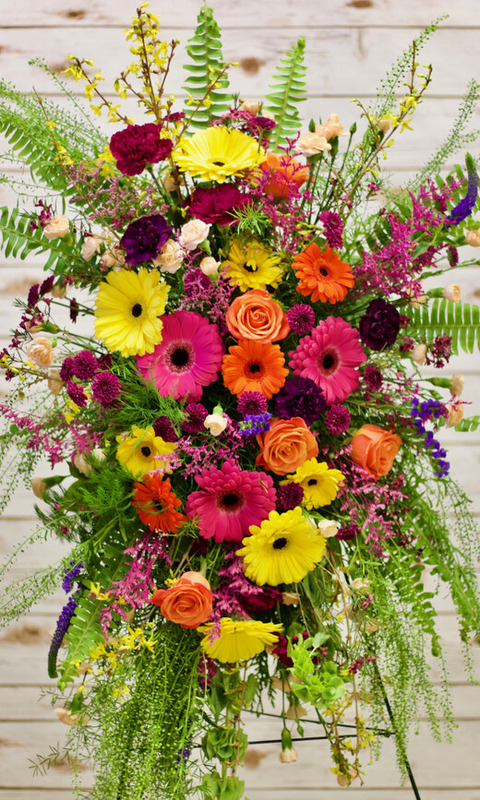 Large standing spray with a lovely assortments of pinks and purples. 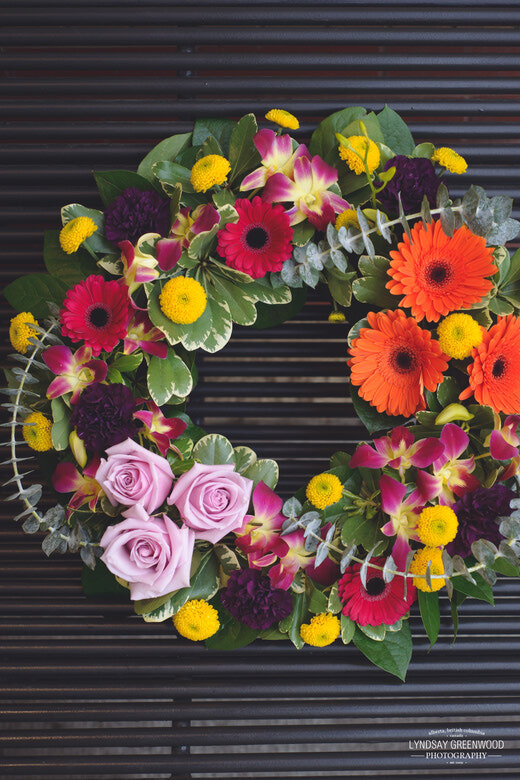 A heart wreath with a lovely assortment of flowers. Like a warm embrace. Comes with stand. 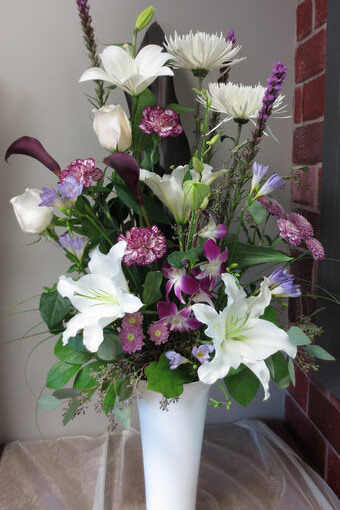 Full spray with white lilies and contrasting purples and blues for a touch of colour. 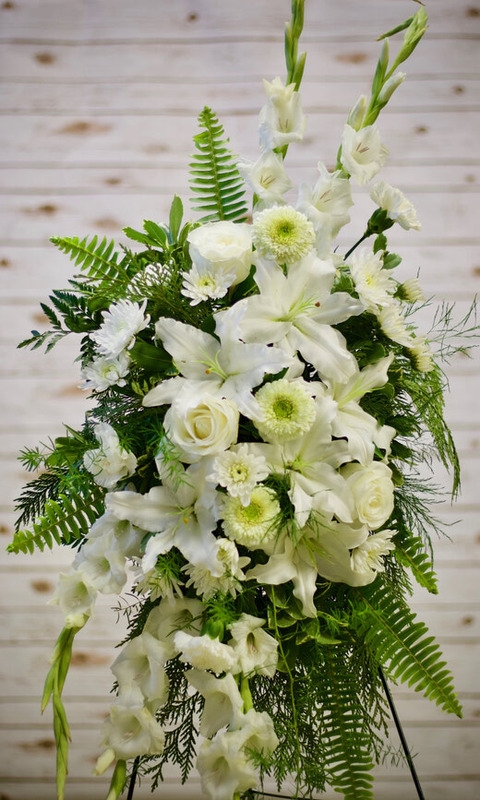 Smaller spray with brighter colours and a more modern feel for placing on the casket or can be sent as a spray on a stand. 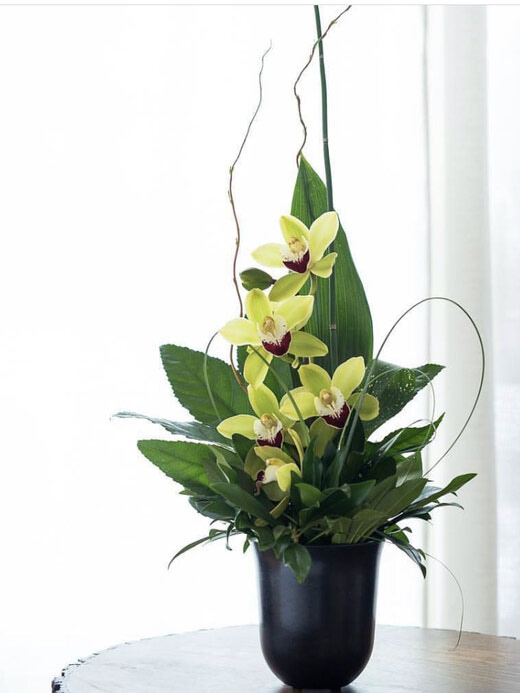 Standing spray sent with a stand for a modern feel. 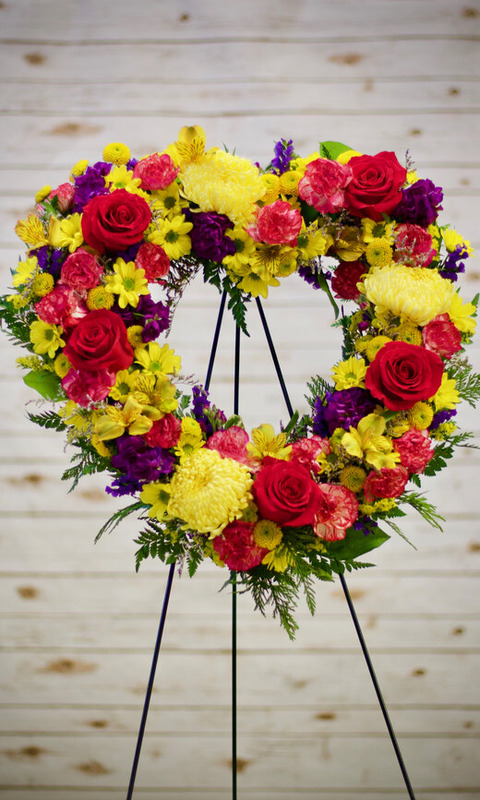 Can customize colours and flowers even. 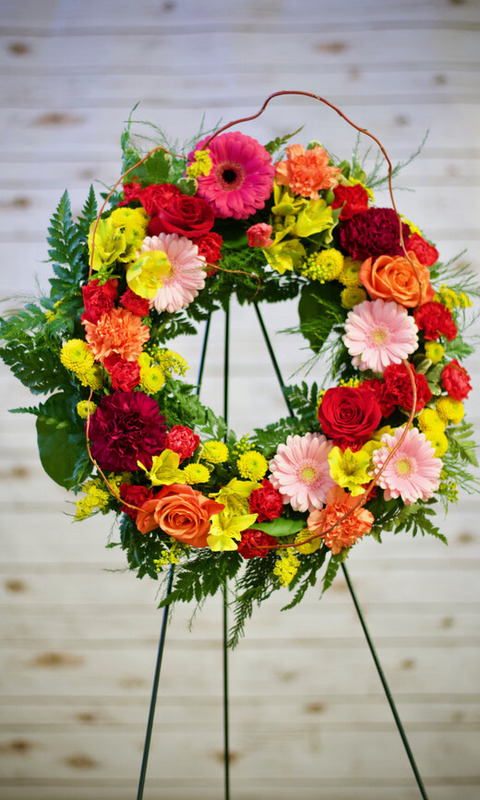 A golden yellow, orange and pink wreath as a bit of a brighter option for a memorial service. 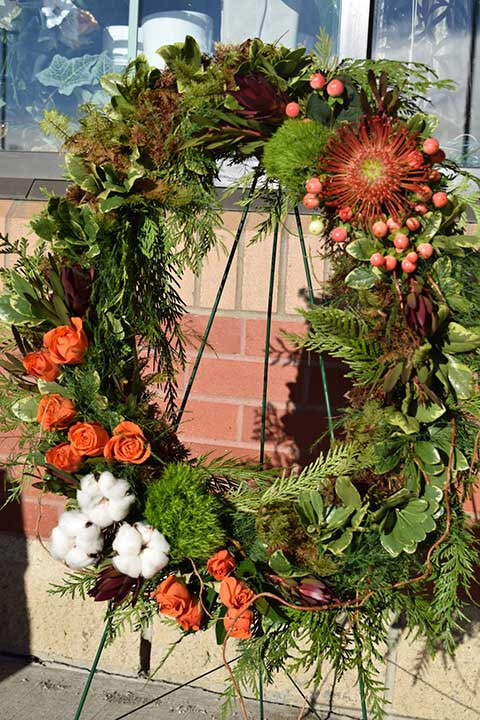 A wonderful way to honor loved ones that loved fall. 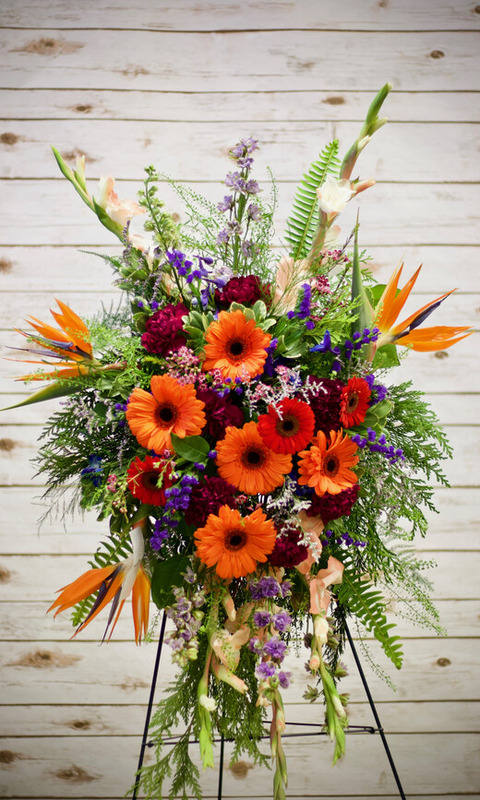 A beautiful golden standing spray. 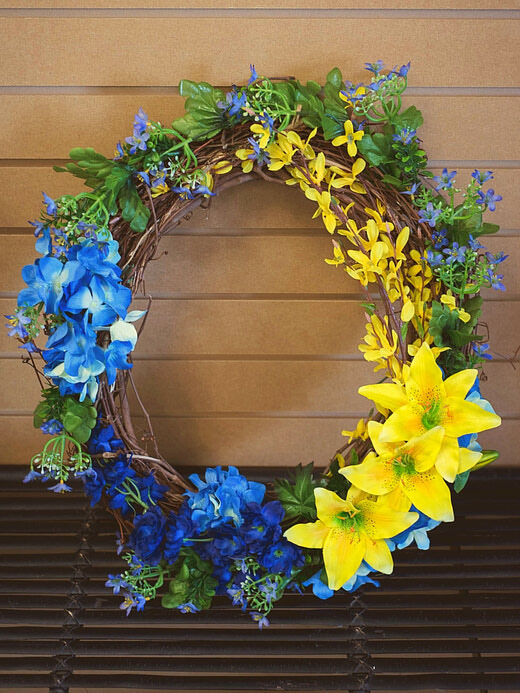 A wonderfully bright 18" wreath. That perfect goodbye for a nature lover. 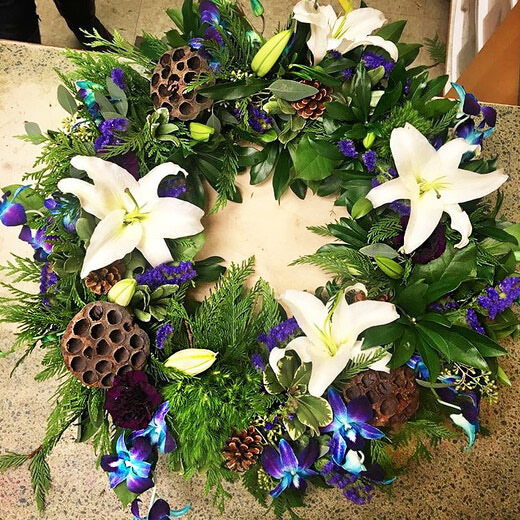 This rustic wreath with vibrant hues of purple and blues is a perfect goodbye for a person of any gender. 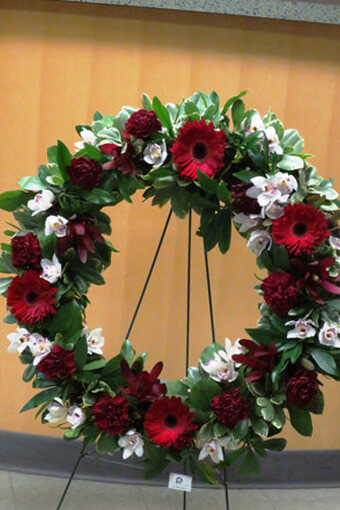 This vine wreath is a different alternative to the traditional wreath. 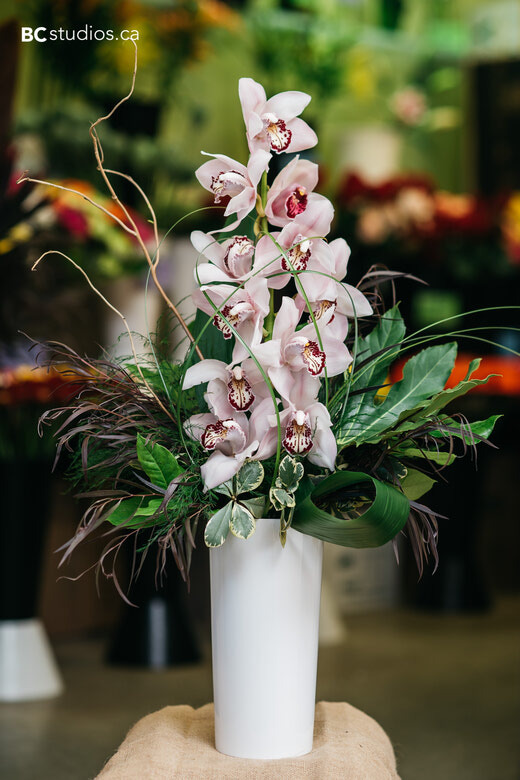 Contrasting colours to bring some light to the room. 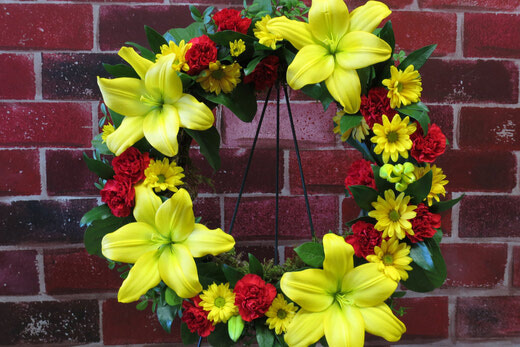 This 15" wreath featuring yellows and reds is a lovely bright wreath for a celebration of life. 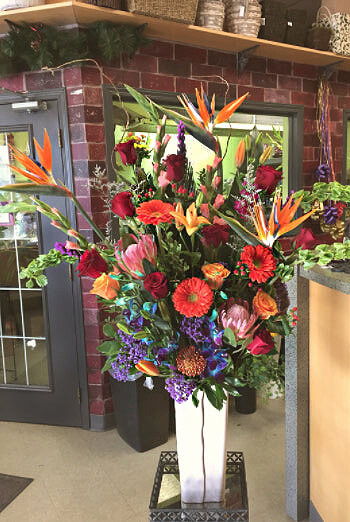 Specify a colour theme and we can customize it for you.